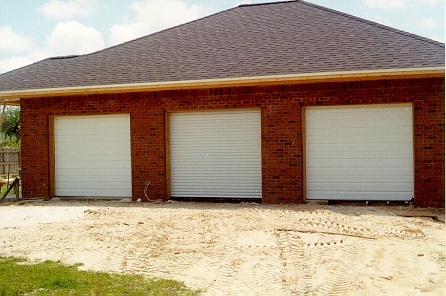 This is the front of the garage after the brickwork was completed and doors installed. 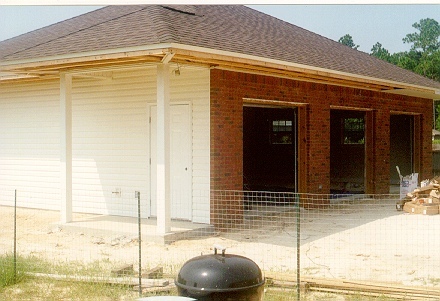 This is a good view of the side and front, including the covered entryway. 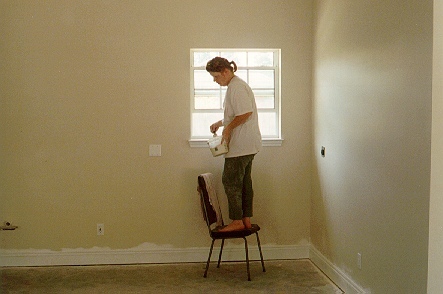 Note that the soffits are not complete: the vendor didn't order enough materials! 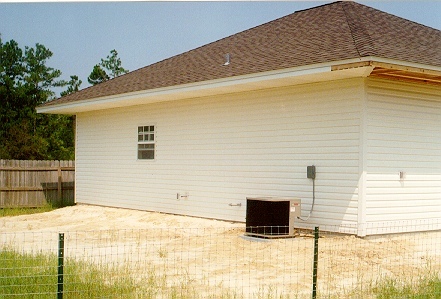 Here's a rear shot, showing the air conditioner unit. 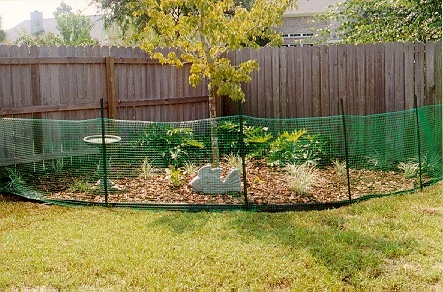 Absolutely essential for Florida summers! This is a good shot of the interior roof, showing the raised ceiling, which slopes up from the front. 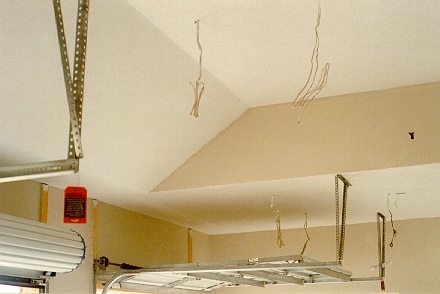 This "cut-out" allows installation of a 12' hoist within 10' walls. 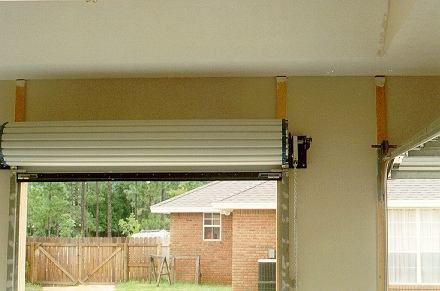 Now of course, you can't have a normal garage door, as it will interfere with the hoist when both are raised. I had to get a roll-up door. 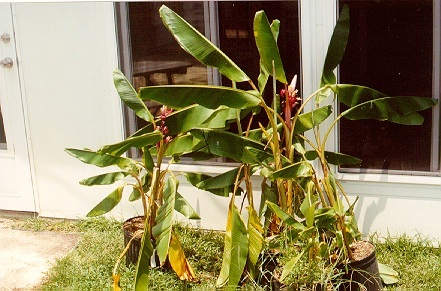 These are four banana plants that will be planted outside the garage once construction is done. The pinkish center tips are the young bananas. The site of the famous snapping turtle episode. Unfortunately, I had a senior moment when capturing the turtle, as I didn't take any pictures! Duh!